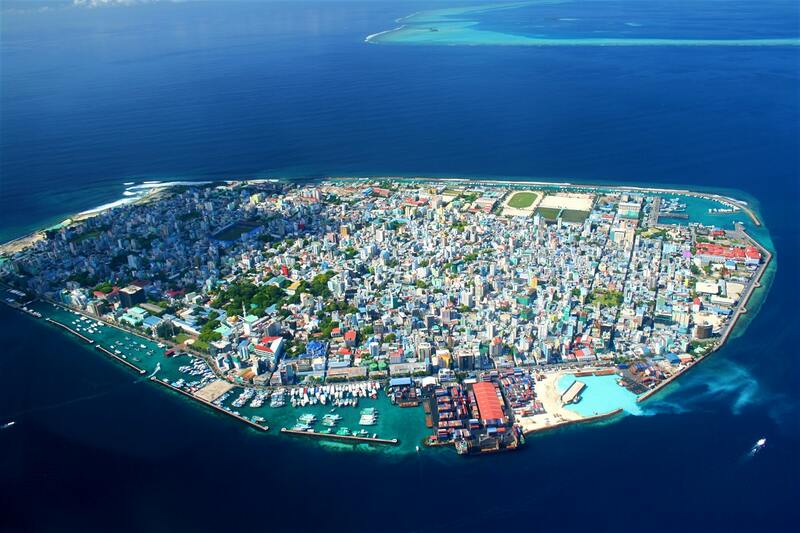 Malé is the densely populated, pint-sized capital of the Maldives and the beating heart of the country. Malé (pronounced marl-lay) is a heavily crowded and fascinating place, with a population of over 133,000 living on an area of just 2.2 square miles, making it one of the most populated cities in the world. 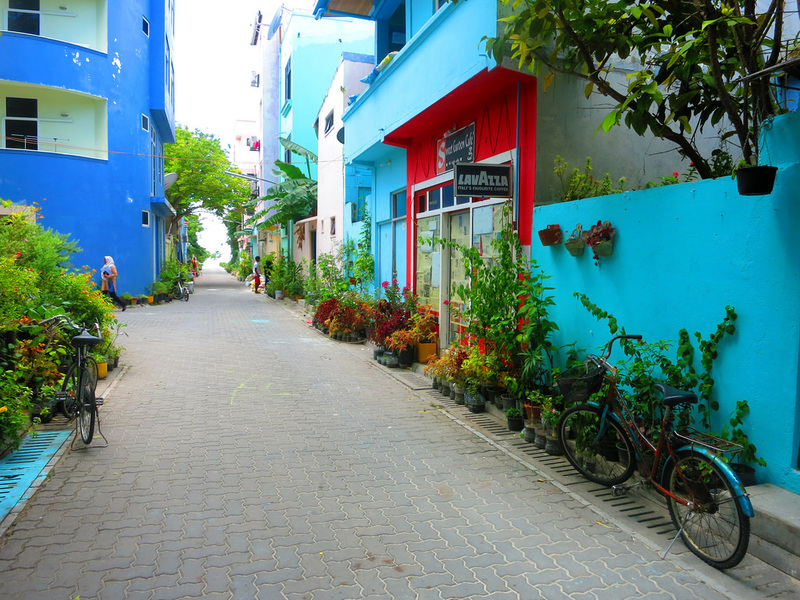 Home to tall, colorful buildings, striking mosques, bustling restaurants and cafés, lively markets, and interesting shops, Malé is notable for its stark contrast to the laid-back pace of island life elsewhere in the country. 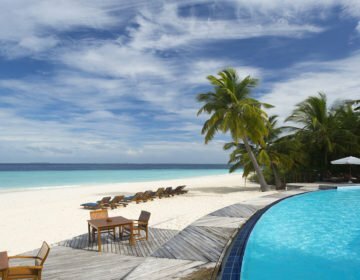 The whole group of islands that form the country of the Maldives is actually named after its capital -the word ‘Maldives’ translates to ‘the islands of Malé’ in the local Dhivehi language. Geographically located at the southern edge of North Malé Atoll, Malé consists of a central island, an airport island, and two other islands governed by the Malé City Council. The engine that drives the Maldives’ economy and the epicenter for the country’s saga-worthy political struggles, Malé is a buzzing hive of activity, while at the same time being pleasingly quirky, giving visitors the chance to get a real feel for the Maldives and to meet local Maldivians on an equal footing. Traditionally, Malé was the King’s Island, home to the royal palace from which the ancient royal dynasties ruled. Known as Mahal, the ruling city was formerly a walled city with the Royal Palace at its center along with several picturesque forts and impressive gates. The entire city was later destroyed and re-modeled under President Ibrahim Nasir‘s rule after he abolished the monarchy in 1968. However, a few architectural gems remain, such as the Malé Friday Mosque – a beautiful edifice dating back to 1656 and the oldest mosque in the country. The modern-day city of Malé was founded as a trading post by the Portuguese in the 16th century and is divided into six divisions, four of which are on Malé Island, namely Henveiru, Galolhu, Maafannu, and Macchangolhi. The nearby island of Vilingili (Vilimalé), formerly a prison and then a tourist resort, is the fifth division, and the sixth is the artificial island of Hulhumalé, which was established in 2004. The airport island, Hulhule, is home to the Velana International Airport, the city’s airport and the principal airport in the Maldives, and is also part of Malé. 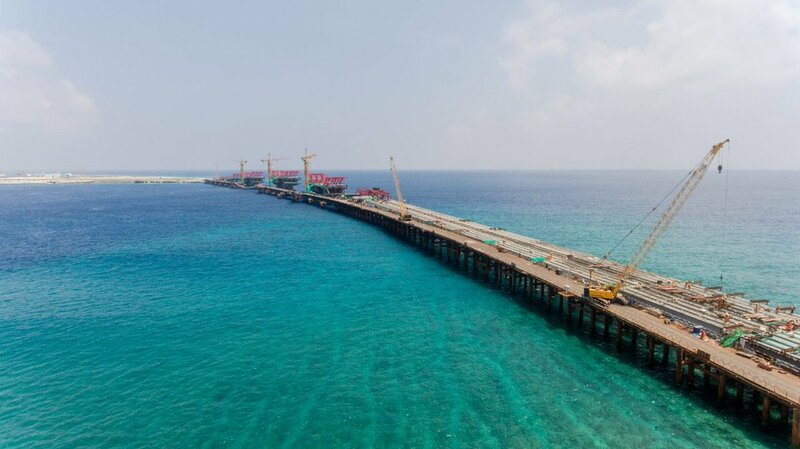 The China-Maldives Friendship Bridge, which is currently under construction, will eventually link Hulhule and Hulhumalé to Malé. Malé is home to several beautiful buildings and striking mosques, as well as lively markets, shops and cafés, offering plenty to see and do. Here are some must-sees on a visit to the bustling capital city. 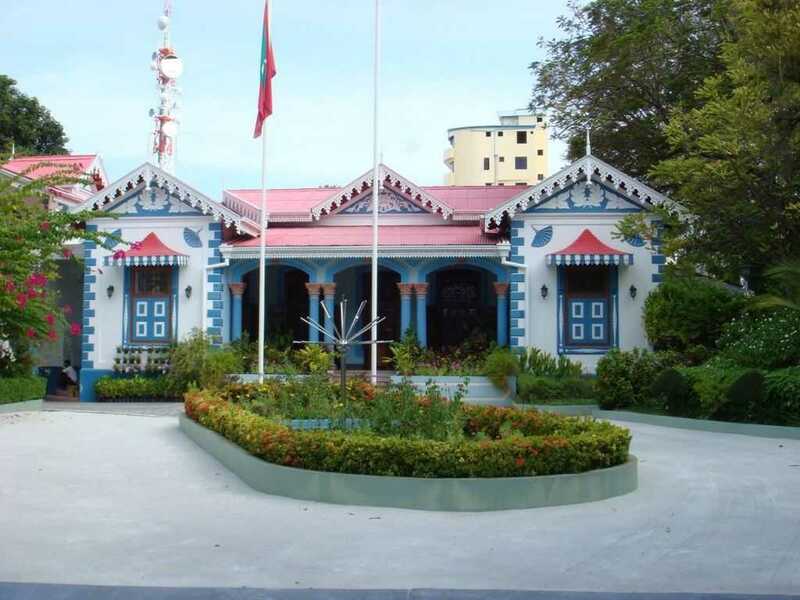 The Maldives’ National Museum is housed in a building gifted to the country by China and features an interesting collection of historical artifacts and objects that document the unusual history of these isolated islands. Galleries showcase well-labeled collections of items from ancient and medieval periods of Maldivian history, such as exquisitely carved Arabic- and Thaana-engraved pieces of wood commemorating the conversion of Maldives to Islam in 1153. The modern history of the Maldives is also covered with various pieces of antique technology, including the country’s first gramophone, telephone and a huge computer, as well as some outstanding examples of the lacquer-work boxes for which the Maldives is famous. Quirkier items include an impressive marine collection which includes the 20-foot-long skeleton of the very rare Longman’s Beaked Whale, which is yet to be seen alive. 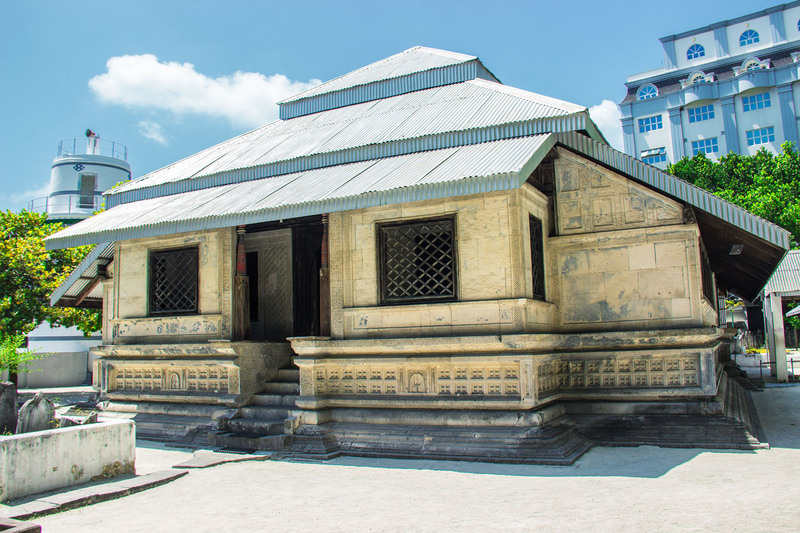 Dating back to 1656, the Malé Friday Mosque, also known as the Old Friday Mosque, is the oldest mosque in the country. Unusually, the mosque faces west towards the setting sun and not northwest towards Mecca due to being built on the foundations of an old temple that faced west. Constructed from coral stone, the ancient mosque features intricate decoration and delicate Quranic script chiseled into the walls. The interiors boast elaborate woodcarvings and exquisite lacquer work, and the mosque is overlooked by a blue-and-white munnaaru tower known as the squat minaret. The mosque is also home to a cemetery with many elaborately carved tombstones and family mausoleums that are worth visiting. Non-Muslims wishing to see the inside of the mosque need to get permission from an official of the Ministry of Islamic Affairs, however, respectably dressed non-Muslims can walk around the building and visit the graveyard without permission. Located at the inner harbor west of Republic Square on the north side of the island, the Malé Fish Market is the soul of the city. The commercial epicenter of arguably the country’s most important industry – fishing – the market is a bustling hive of activity from dawn to dusk, particularly in the afternoon when fishermen from all over the country sail right up to the edge of the market to unload their daily catch. 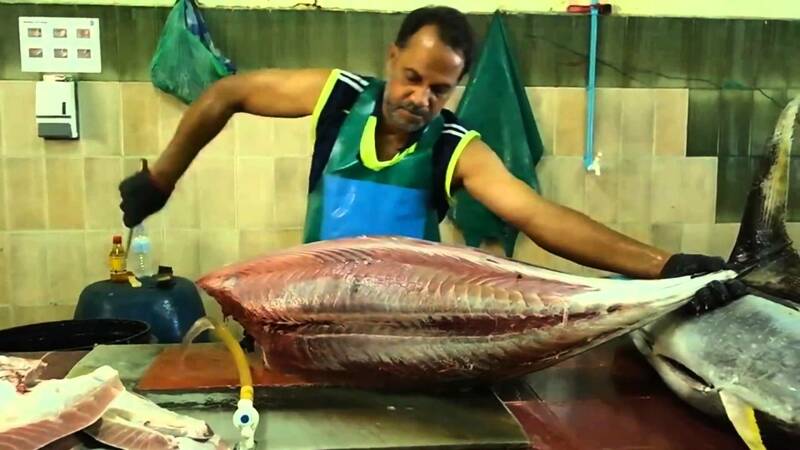 The market sells a variety of fish, with colossal tuna being the most popular fish for sale, as well as octopus, prawns, and shrimp. There is also a large selection of fresh fruit for sale. 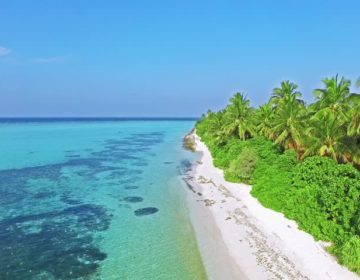 The little island of Villingili, also known as Vilimale, is the fifth district of the capital city and is located just under a mile from the western shore of Malé. Accessed by a short boat ride, the island boasts a laid-back Caribbean-style feel with brightly painted houses and a slower, more relaxed pace of life than the capital. The island is home to several shops, restaurants, and places to go for a (non-alcoholic) drink. The China-Maldives Friendship Bridge is an impressive piece of engineering that spans the open sea to connect the airport island of Hulhule to Malé. 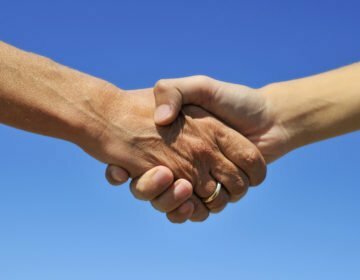 Local opinion about the bridge is divided – some see the bridge as an essential infrastructural addition to Malé, while others feel the vast amounts of money that have been spent on the bridge could have been more useful elsewhere. While most travelers tend to stay on the adjacent island of Hulhumale next to the airport as a cheap overnight option before traveling on to a resort or heading on out a liveaboard cruise, Malé has a few great places to stay in the heart of the vibrant city. Boasting a stunning rooftop infinity swimming pool overlooking the Indian Ocean, Hotel Jen Malé by Shangri-La is by far the city’s best hotel. Located in Malé ‘s busy business district and a short walk from the island’s Fish Market and Sultan Park, Hotel Jen Malé features stylish, air-conditioned rooms with en-suite bathrooms, massage rain showers, modern amenities, and beautiful city views. Deluxe facilities include an exclusive spa, a rooftop infinity swimming pool with sundeck, a 24-hour fitness center, and a signature all-day dining restaurant and casual café. Additional guest services range from laundry and ironing, island tours and diving trips, to complimentary speedboat transfers from Velana International Airport. To book the Hotel Jen Malé, click here. Located in central Malé, next to the Maldives Parliament, the Sala Boutique Hotel boasts air-conditioned guest rooms with traditional Asian décor and stylish furnishings, en-suite bathrooms with showers, and modern conveniences such as flat-screen televisions and wireless Internet access. Continental breakfasts and authentic Thai cuisine are served in the Sala Thai Restaurant and guests can enjoy relaxing massages at the onsite spa, which also offers manicures and pedicures. To book the Sala Boutique Hotel, please click here. The Somerset is a hip, city-chic boutique hotel that reflects the city’s dynamic sightseeing, shopping, and café culture, while still reflecting its laid-back island lifestyle. Ideally positioned for exploring all that the city has to offer, the Somerset features deluxe air-conditioned guest rooms with en-suite bathrooms, stylish décor, and modern amenities. The hotel has an onsite bistro that serves international cuisine in a contemporary setting, and other services include a business center, overnight laundry services, access to a nearby fitness center, and a complimentary airport shuttle. Click here to book The Somerset. The Novina Hotel offers a deluxe and comfortable retreat in the heart of the city. Situated within walking distance of the city’s souvenir shops and shopping centers, as well as the National Museum and Fish Market, the Novina features stylishly appointed guest rooms with en-suite bathrooms, stylish décor, and modern in-room conveniences. The casual Novina café serves a menu of light offerings, including fresh salads, sandwiches, and desserts, as well as coffee, lattes, tea, fresh fruit smoothies, and amenities include in-room mini-bars and complimentary wireless Internet access. To book this modern hotel, click here. Malé offers an array of fantastic places to eat both local and international cuisine in a variety of settings, from tiny sidewalk cafés to fine dining establishments. 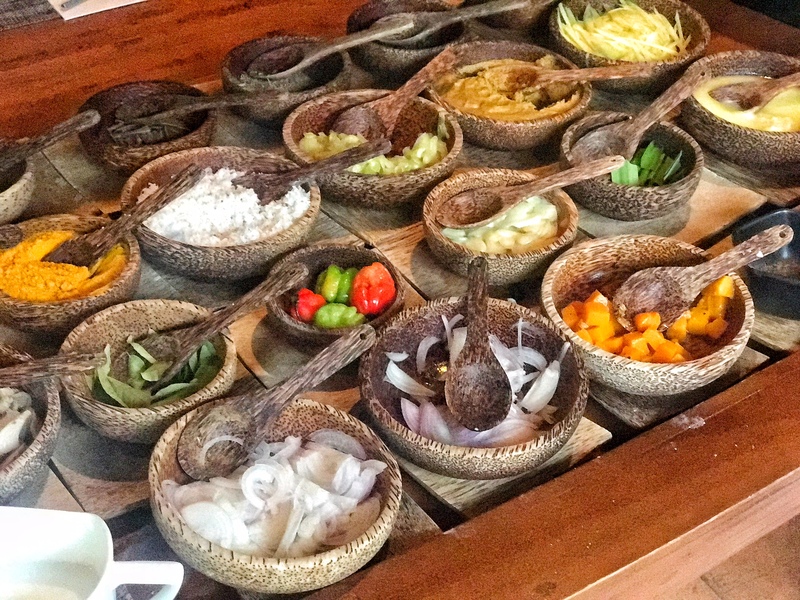 Maldivian cuisine tends to be seafood-centric with rich exotic flavors, however, there are a wealth of other delicious options to satiate all food cravings from authentic Indian and Chinese fare to European and international dishes. The small, motorcycle-packed lanes of Malé are lined with many roadside eateries serving a plethora of local delicacies and delicious bites. Situated at the Sala Boutique Hotel, the Sala Thai Restaurant is renowned for its delicious, healthy cuisine and quiet locale away from the hustle and bustle of the city. Exuding an elegant and relaxed ambiance with beautiful artworks and soft lighting, the restaurant offers indoor and outdoor seating and a menu of fresh seafood and meat dishes, exotic curries, mouthwatering Thai bowls, and decadent desserts. Newport is a hip spot on Malé’s busy seafront with sleek, minimalist décor and cool, refreshing interiors that offer a tranquil haven far from the maddening crowd. Located in front of the airport ferry jetty, Newport was the third restaurant to open in the Maldives and is still renowned for its excellent food, which includes freshly seared tuna, spicy falafel, giant prawns, hearty burgers, and fantastic coffee. Set in a two-story space with lovely city views from the second floor, the Seagull Café House is a charming spot for lazy lunches and cozy dinners. The inviting café serves a menu of authentic and traditional Maldivian cuisine including fresh seafood such as snapper steak with mango salsa and parsley rice, meat dishes, burgers, gourmet sandwiches, spicy curries and Asian fare. The café also offers a mouthwatering selection of more than 30 flavors of homemade ice-cream – perfect for the Maldives’ hot summer days and balmy nights. Conveniently located in the market area of Malé, Salt Café & Restaurant offers a fine dining experience like no other in the city. Boasting a beautiful outdoor terrace overlooking the ocean, an air-conditioned dining hall, and a private dining room for special occasions, the five-star restaurant serves a globally-inspired menu that combines local and international flavors and tastes. Guests can enjoy freshly caught seafood and prime meat dishes, Asian and Indian-inspired plates, Italian pasta, and European specials, along with a variety of irresistible desserts.